Natalie & Tim's Sunshine Coast wedding was filled with sweet details, beautiful decor and thoughtful DIY touches that made it a truly personal celebration. 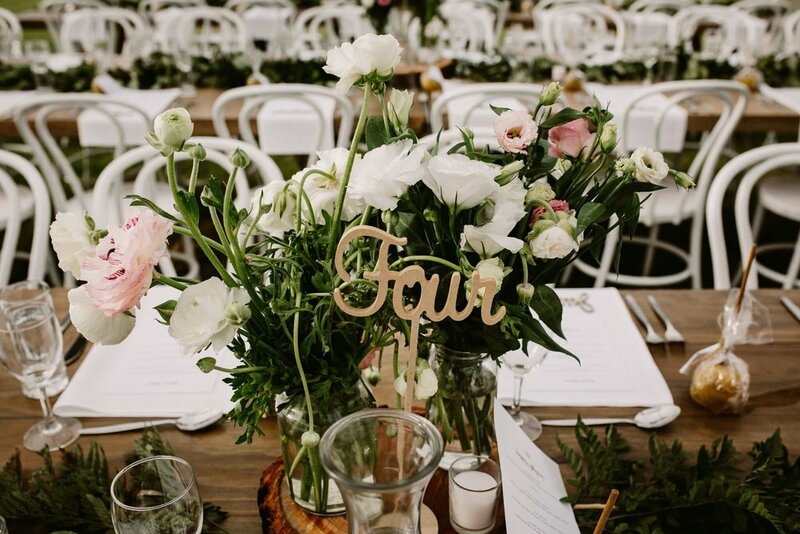 Set at the incredible grounds of Maleny Retreat with gorgeous hinterland views, a clear marquee was beautifully styled to reflect a natural colour palette of crisp whites, earthy timbers and vibrant greenery. Wooden feasting tables and white bentwood chairs created a neutral base for the design, with lush hanging installations suspended from the ceiling amongst strings of fairy lights. 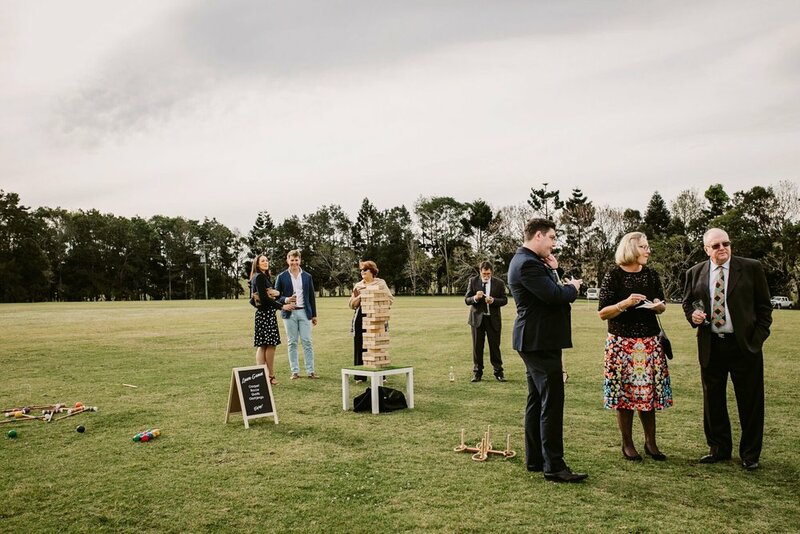 Guests enjoyed lawn games and canapes out in the sprawling gardens, before making their way to tables styled with pastel floral arrangements, rustic wood slices and foliage garlands weaving their way around scattered candles and toffee apple favours. We loved the custom signage that Natalie & Tim organised to personalise their day, with a laser cut Mr & Mrs sign creating a sweet bridal table backdrop, and wooden place cards creating a keepsake for each guest. Working with an amazing team of suppliers, we're so pleased we could be involved in Natalie and Tim's special Sunshine Coast celebrations. See more beautiful imagery below captured by Edwina Robertson & Richard Grainger, along with our top tips on recreating this organic look for your own big day! Our Top 5 Wedding Flower Trends for 2018!